The upcoming conference coincides with mounting tensions in Fatah, the result of internal bickering and growing discontent with Abbas's autocratic rule. Since its founding 50-some-odd years ago, the secular Fatah faction and its leaders have brought nothing but disaster, not only to Palestinians, but to other Arabs as well. The business of Fatah is relevant to the entire international community, including Israel. Why? Because Fatah dominates the PA, which is supposed to be Israel's peace partner and which is funded and armed by the US, EU and other international donors. Hamas will continue to exploit Fatah's corruption in order to gain more popularity among the Palestinians. The truth, however, is that neither Hamas nor Fatah has fulfilled repeated promises to improve the living conditions of the people. Abbas and his old-guard cronies will continue to clutch onto power and resist demands for real reforms. And they will continue to blame Israel, and everyone else, for the misery of their people, misery they themselves have wrought. Barring last-minute changes, the Palestinian Fatah faction, which is headed by Palestinian Authority (PA) President Mahmoud Abbas, is scheduled to hold its Seventh Conference in Ramallah on November 29. This will be the first gathering of its kind since August 2009. The upcoming conference coincides with mounting tensions in Fatah, the result of internal bickering and growing discontent with Abbas's autocratic rule. Some 1,300 delegates to the conference will be asked to vote for two of Fatah's key decision-making bodies -- the 23-member Central Committee and the 132-member Revolutionary Council. Palestinian political analysts predict that the Fatah conference will deepen divisions among the faction's rival camps, particularly in the wake of Abbas's continued efforts to eliminate his critics. Abbas, they say, decided to convene the parley in a bid to tighten his grip on Fatah and block the emergence of new leaders. "The Seventh Conference should not be held under the current difficult and complicated circumstances that Fatah is undergoing," said Hani Habib, a prominent political analyst in Ramallah. "Internal disputes in Fatah and Arab pressure on the Fatah leadership could even result in the postponement of the conference." According to Palestinian sources, a number of Arab countries, including Egypt, Jordan, Saudi Arabia and the United Arab Emirates have recently exerted pressure on Abbas to patch up his differences with ousted Fatah strongman Mohamed Dahlan. 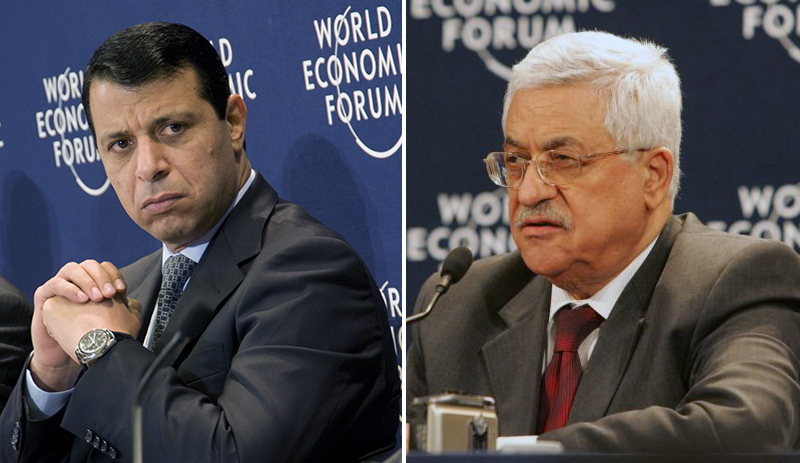 These counties, according to the sources, would like to see Dahlan, an arch-enemy of Abbas, as the next PA president. "The Fatah leadership is under pressure from the Arab 'quartet' not to hold the conference before Abbas and Dahlan reach a reconciliation agreement and end their dispute," said another political analyst, Raed Nueirat. Referring to the ongoing rivalry between Abbas and Dahlan, he added: "Holding the conference now could deepen the schism in Fatah and aggravate its internal crisis." Yet all indications are that Abbas is hoping to take advantage of the upcoming conference to rid himself once and for all of Dahlan and his other rivals in Fatah. Ahead of the conference, Abbas already expelled several Fatah members suspected of affiliations with Dahlan. The expulsions are meant to send a warning message to Abbas's critics, silencing them at the Seventh Conference. For Abbas, the only good conference is one in which the only delegates present are his loyalists. In this regard, he seems to have endorsed the North Korea model of autocracy. If all goes according to plan, Abbas is expected to emerge triumphant at the Seventh Conference. 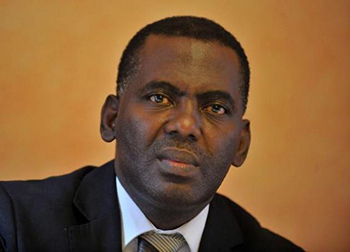 His political rivals, first and foremost Dahlan, who lives in the United Arab Emirates, will not be among the conference invitees. Most of Dahlan's supporters in the West Bank and Gaza Strip will also be excluded from the gathering, as well as any Fatah member whose loyalty to Abbas is considered questionable. Fatah conferences are mainly intended to discuss internal reforms and pave the way for new faces to have a greater say in decision-making. But ever since Fatah lost the parliamentary election in 2006 to Hamas, it has failed to embark on major reforms or present new and young leaders. The very Fatah officials who lost the election continue to run the same old, tired show. Internecine squabbling and financial and administrative corruption handed Hamas a victory in that election. More recently, the Palestinian local elections were called off amid fears that Fatah candidates could once again lose to Hamas. Fatah's failure to implement reforms and introduce new faces remains a driving force for Hamas's popularity among Palestinians. Hamas is here to stay, until Palestinians are offered a better alternative -- and Fatah is definitely not seen as such an alternative. Since its founding 50-odd years ago, the secular Fatah faction and its leaders have brought nothing but disaster, not only to Palestinians, but to other Arabs as well. Fatah played major roles in the civil wars that erupted in Jordan and Lebanon during the 70s and 80s, which resulted in the killing of tens of thousands of people. Before and after the signing of the Oslo Accords and the establishment of the Palestinian Authority in the early 90s, Fatah members participated in hundreds, if not thousands, of terror attacks against Israelis. Internecine fighting and massive corruption, as well as double-talk and conflicting messages to their people and the rest of the world, have always been the main hallmark of Fatah. "Fatah is facing a severe crisis," said political analyst Dr. Abdel Sattar Qasssem. "Neither Fatah nor the Palestinian Authority has the courage to tell the people the truth. No one knows what Abbas wants or how he is running the show. Every now and then Abbas expels some Fatah members and this has led to many splits. Abbas is working toward dismantling Fatah." Some Fatah officials and activists were hoping that the Seventh Conference would discuss the super-sensitive issue of Abbas's succession or, at least, the appointment of a Deputy Palestinian Authority President. But these issues are considered taboo by the 81-year-old Abbas. He does not tolerate any talk about his future successor or sharing powers with someone else. For years, Abbas has stubbornly turned down demands to appoint a deputy or prepare for the day after he is gone. Those who raised these issues, both in private and in public, were stripped of their powers or removed from their jobs. Abbas, his critics charge, manages Fatah as if it were his private fiefdom. The business of Fatah is relevant to the entire international community, including Israel. Why? Because Fatah dominates the PA, which is supposed to be Israel's peace partner and which is directly funded by the US, EU and other international donors. Fatah is the faction with which Israel is supposed to make peace in the future. This is the faction that is supposed to control any future Palestinian state. A weak, corrupt and torn Fatah that has little credibility among its own supporters in particular and Palestinians in general is worth less than nothing for the betterment of Palestinians. Why less than nothing? Because Hamas will continue to exploit Fatah's corruption in order to gain more popularity among the Palestinians. Hamas continues to present itself to the Palestinians as the only party capable of improving their living conditions. The truth, however, is that neither Hamas nor Fatah has fulfilled repeated promises to improve the living conditions of the people. In 2006, Hamas ran in the election under the banner of "Change and Reform." The list's electoral platform promised to "bring about justice and equality among the people, to protect public freedoms and put an end to administrative, financial and moral corruption." Needless to say, Hamas's promises have never been fulfilled. On the contrary, the living conditions of the Palestinians living under Hamas's rule in the Gaza Strip have since deteriorated on all levels. The only change Hamas has brought has been more suffering and misery for its people. Moreover, it is hard to point to any reforms implemented by the Hamas leadership ever since, nearly a decade ago, their movement seized control of the Gaza Strip. Similarly, Fatah has never kept its promises to reform its corruption-riddled institutions. "President Abbas has hijacked the decision-making process of all institutions belonging to the Palestinian Authority, the PLO and Fatah," charged Majed Abu Shamaleh, a senior Fatah official and critic of the PA president. "Abbas's attempts to get rid of many Fatah members is a crime against Fatah and the Palestinian people. Abbas alone bears full responsibility for the continued crisis in Fatah and the Palestinian arena. Many of the current Palestinian Authority and Fatah leaders are acting out of personal interests." Abbas, by all accounts, appears to be determined to march in the opposite direction. This week, the PA's "constitutional court" granted Abbas the power to strip Palestinian legislators of their parliamentary immunity. The decision paves the way for Abbas to expel his Fatah critics from the Palestinian Legislative Council. The decision drew strong condemnations from many Fatah officials. "The court's decision is the last nail in the coffin of Palestinian democracy," said Fatah legislator Najat Abu Baker. "Stripping legislators of their parliamentary immunity without seeking the approval of the parliament means that we are killing democracy." Abu Baker called on her Fatah colleagues to submit collective resignations from the faction and parliament in protest against the court decision. Regardless of the results of the upcoming Seventh Conference, here is what we know: Fatah is far from taking any steps towards major reforms and transparency. Abbas and his old-guard cronies will continue to clutch onto power, and continue to resist demands for a changing of the guard and real reforms. And, of course, they will continue to blame Israel, and everyone else, for the misery of their people, misery they themselves have wrought. And this is the Fatah that members of the international community are funding and arming and continuing to bury their heads in the sand about, and pretending that all is fine. It is time to realize that Fatah has become part of the problem and not part of any solution. That is, unless its leaders are willing to take brave and real measures to change -- an upheaval that does not seem likely to happen. The meaning of democracy in Islam is submission to Islam, somewhat different to the western meaning of democracy. "The court's decision is the last nail in the coffin of Palestinian democracy," said Fatah legislator Najat Abu Baker. I almost choked on my coffee when reading this. How's the democracy in all other Muslim majority countries? How is it the Palestinians have one of the highest literacy rates and yet find themselves in these dire circumstances? It certainly must make the Palestinian people question why they remain an exploited labor market. While much is made of censorship in Western outlets because we are taught to tolerate dissent, and Israel has been criticized for censoring Palestinian Journalists, when they advocate violence. Illiteracy is not a problem or an explanation like it is in Afghanistan where ignorance is exploited and Imam's control their Umma by selecting verses of the Koran to be committed to memory by oral repetition. The Palestinians have found themselves on the bottom of the Caliphates heap, as they have always been. Better educated, employable, anxious to work, they have been frustrated in one Arab nation after another where success required a demand for more benefits and inclusion. In Jordan it resulted in an attempt to seize the Kingdom. In Lebanon Palestinians were excluded from banking and generally treated as 3rd rate non-citizens and confined to camps and terrorist training areas. In Kuwait they stood with Hussein against the Kuwait royals. Palestinians were a vital aspect of peace propaganda, anti war, Bush and America in support of Hussein's mass murdering war mongering machine, and filled streets elsewhere in the globe to celebrate 9-11. Despite the fact they are exploited like cheap labor filling the role the Ottoman's slaves once filled. An odd fact always ignored. The Ottoman Empire was dependent on slave labor to no lesser a degree than the American south. While we attribute the rise of while Christian southern fortunes to the slaves we are ignorant in our appreciation of the similar effect in the Ottoman Empire and its fractured aftermath, when "foreign invaders" ended the trade. Any failing fortunes and the lapse in reformation and economic development is always blamed on colonialism, but in the ME the true engineers of the colonial rule were the Ottoman's. But that did and does not fit the propaganda of the former Soviets and western "intellectuals" so all of that history was put aside. It is the obfuscations professed to defend the imposition of state sanctioned slavery even religious precept that permits the exploitation of labor that is the underlying drift for this blame juxtaposed on Israel and the west, not simply by fraudulent Marxist socialist theory and its distortion of history, it is the fact Islam has further been exploited by its adherents to accent the blame for the economic collapse after the Ottoman slave trade on infidels and justify the exploitation of Christians and all other non-Muslims. Erdogan will not even admit to the the genocide of Armenians and Christians killing over a million people before and after WWI. One way to deal with masses of people that had been disenfranchised by Islam and no longer exploitable. No one who is witnessing what is taking place in Egypt, Lebanon, Syria, Iraq, Iran, Pakistan, today; where poverty flourishes so does religious bigotry. Following is but one expression of how the educated and ignorant Palestinian people have been duped by social theories and their own religion. The Marxist Socialist intellectual dupes ignore these proofs, proofs that disprove the dialectic paradigm. History is not always predetermined to work like their ideal model, a model that is most often patently false. Religion of peace? via MEMRI, Leader of Palestinian Salafi-Jihadi Group: It Is Permissible to Kill Jewish and Christian Civilians In Jihad, Since They Are 'Fundamentally Not Innocent'. "Our shari'a forbids killing innocent people, be they Muslims or infidels... However, in the course of a jihad operation, mistakes can always happen, and this in no sense means that jihad [operations] may be stopped or delayed. Jewish or Christian civilians [who live] in the country [where the jihad operation is to take place], then he should know that these people are fundamentally not innocent. "If by 'innocent people' the inquirer means Muslims who may be accidentally hurt during a military operation, [he should know that] it is neither permissible nor reasonable to refrain from fighting the infidels out of fear of hurting some Muslims, because this would mean stopping the jihad. Most of the infidel countries that are fighting Islam have some Muslims living in them. It is inconceivable [to stop the jihad on their account], especially in the current situation, when most Muslim countries are waging defensive jihad."" 1. Fatah was always the problem! 2. Fatah was never a peace partner! EU/US financing Fatah says more about them and their intentions than about Fatah. Fatah/Hamas, same intentions but with different methods.......helped by the West. No Israel....no Fatah/Hamas and no Western financing for "Palestine or Palestinians"!